New from 2000 AD – a new anthology of stories featuring some classics from yesteryear – check out what’s inside The Vigilant this week! Reviving some of the most popular characters from 50 years of British comics – restored and reinvigorated for a new generation! 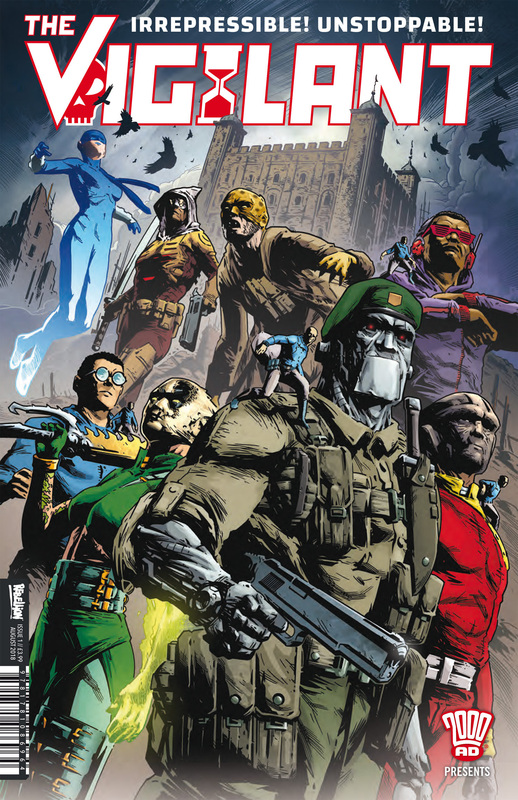 Written by Simon Furman, Bruce Leslie, Karl Stock, and Aaron Stack, with art by Simon Coleby, DaNi, Henrik Sahlstrom, Warwick Fraser-Coombes, and Staz Johnson, The Vigilant features classic comic book characters such as The Leopard from Lime Street, Steel Commando, Dr. Sin, Pete’s Pocket Army, Blake Edmonds, Yāo and Thunderbolt the Avenger in a new title from the publishers of 2000 AD!